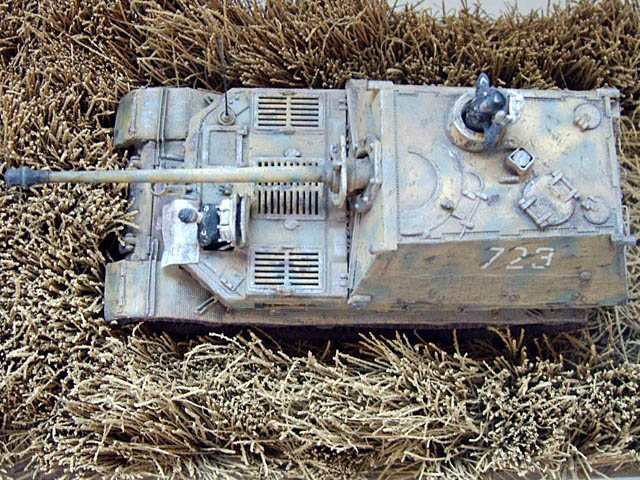 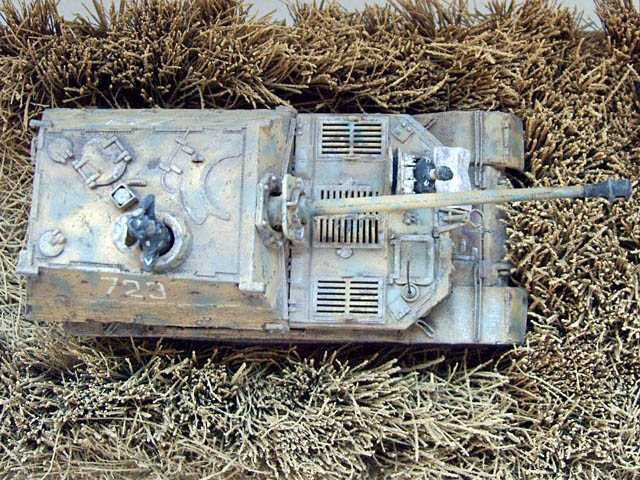 The model is improved with resin zimmerit conversion from Atak, Part etchings and Aber metal barrel. 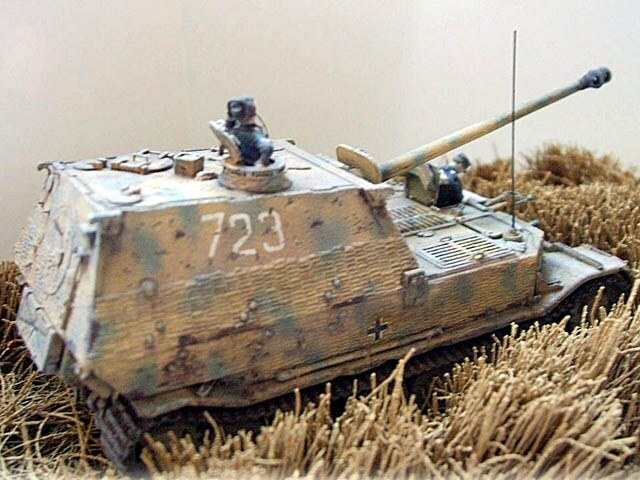 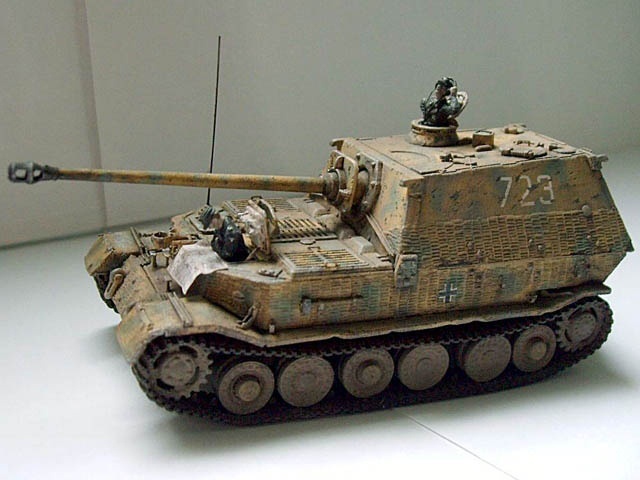 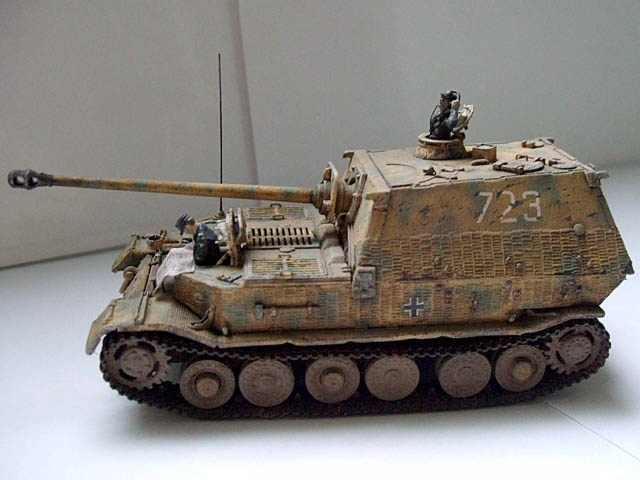 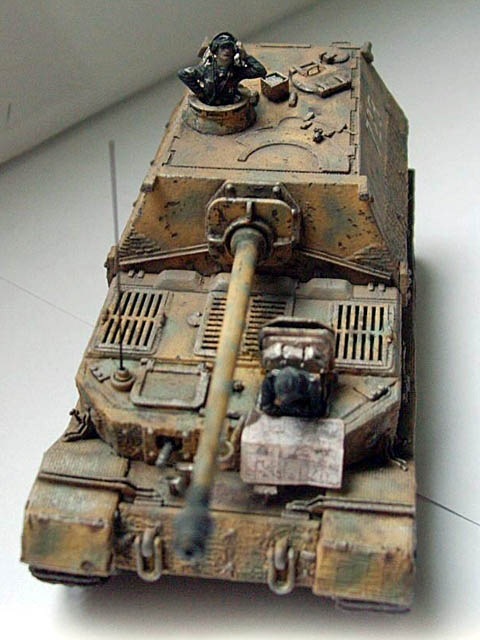 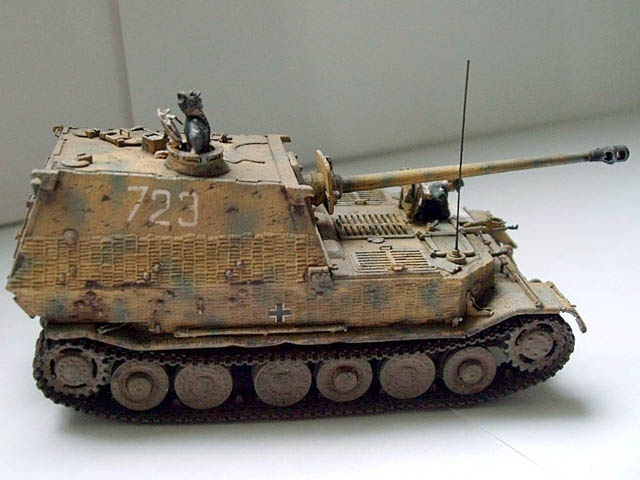 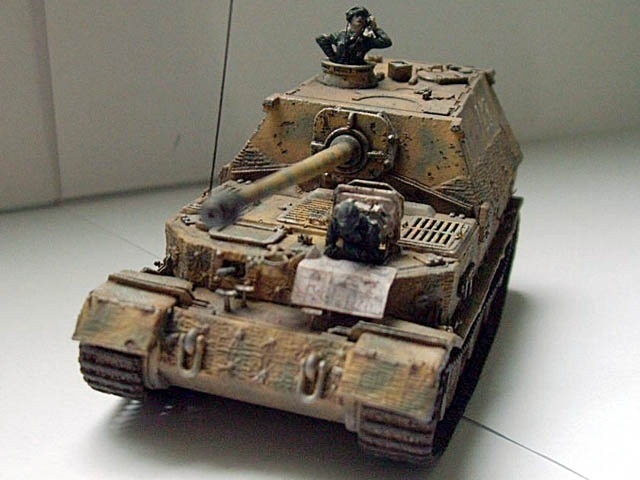 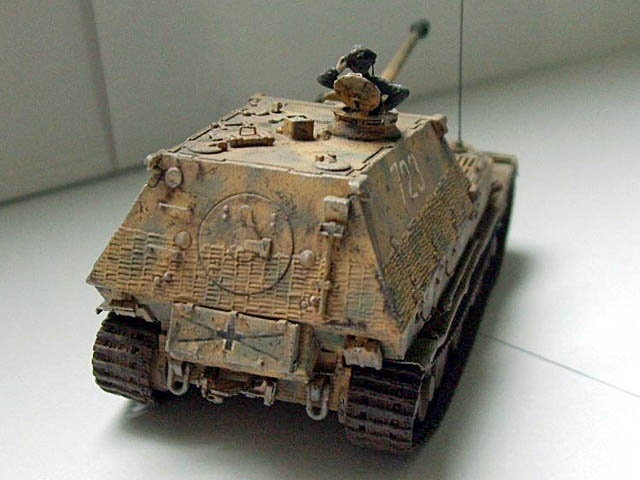 The camo is painted with Revell colours and pastels used for weathering. 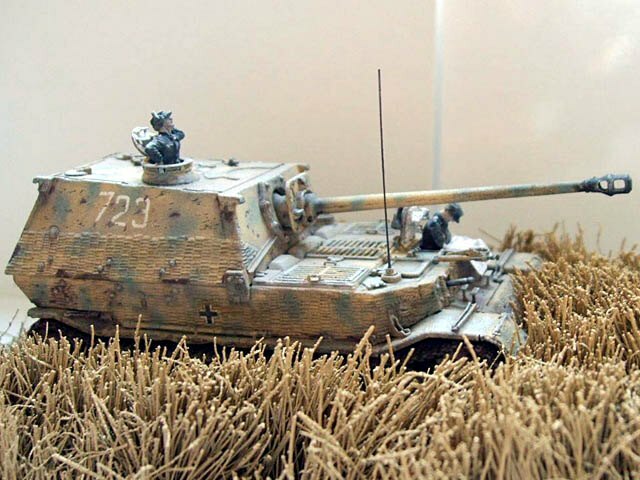 The crew figures are form Preiser set.